Give Trump credit for the jobs report? I guess so. First, it is a time-wasting argument. Most Presidents have little effect on how businesses hire. Second, if anything those jobs are part of the Obama economy, if you think Presidents have that effect. Third, Trump should get credit for creating economic optimism in the business community that is certainly not putting a damper on hiring. However, let’s remember. It is not all about profits. Not knocking jobs or making money, but we need to be aware of other dangers. Where Trump has a real, direct impact is in his efforts, consciously or not, to sow mistrust in Americans. What could be a scary future – which might stop job hiring – is that societies only prosper when there is trust. 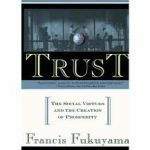 I mentioned Francis Fukuyama’s book, Trust, in past posts. This is a dangerous time of mistrust in America. Is it all Trump’s fault? No. Republicans and Democrats are not exactly bosom buddies. And that lack of cooperation is what Trump ran against to get himself elected. He told us he was going to get things done. But, like the media, he is embroiled in the entertainment and sports bias. Everything is one side against the other. Again, screaming about media bias is usually a smoke screen for something being hidden from the American people. A dictator will accuse an opponent of the same thing the dictator is already doing. 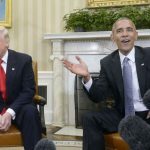 The Obama wiretap tweet is a perfect example. 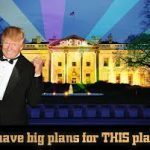 Did Obama order taps on Trump Tower during the campaign? He might have. Is it likely? No, not based on credible sources even within the Trump Administration — like FBI Director Comey. The issue is Trump tweeted it. Think about it. Tweets like that, for most of us, occur after heavy drinking. And yet Trump doesn’t drink. Still, he does not appear sober. First, the accusation is astounding; on the same level as Watergate. Second, why wouldn’t this be brought to investigators or a congressional committee to investigate quietly? His actions drain him on any credibility. So it is hard to argue against Trump critics who call him unhinged or someone trying to create chaos. Sure, I realize many people elected him because they wanted a business person who would keep his hands off government and allow us to do our job. Would you want your boss tweeting crazy stuff that your shareholders or employees could read? Would you tweet crazy stuff that that might raise questions with your suppliers or contractors? Would you tweet crap like that so that your competitors might get an edge? Sure, I try my best to be fair about all issues. But it is unconscionable to not question what Trump is doing. He does not appear to be running a business. Many good business owners are behind the scenes working – not out in front taking bows. No, Trump is appearing in a reality TV series. Reality TV is scripted chaos. It may seem like the drama and comedy just happens magically on-camera. But it is not. It is planned and scripted. No studio exec would spend or risk millions of dollars to have something “just happen” on video. That exec would be risking his or her job. So, so-called reality TV is not real. It is created to get your entertainment eyeballs to stay glued. If that is what is happening in this Administration, then we need to worry as the world gets more dangerous. Many of the big nation-states are battling with aging populations. Many of these states can use technology to protect or attack. The Trump foreign policy, though early yet, appears to be moving in a fractured chaotic way between isolationism and muscle flexing. And, frankly, the American public gets some blame since we don’t know whether we want to withdraw from the rest of the world or bomb the crap out of it. Look at North Korea. There was talk of pulling our forces out at one point. But now we sent missile defense to Seoul. 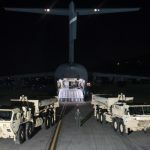 Those missiles and mixed signals are spooking China and possibly the new South Korean government which might become more allied with Beijing and, good luck with this, wants to “talk” to Pyongyang. Then Trump seems more willing to up the military ante in Syria with more troops. Again, US sentiment is split; let’s get out of the Middle East, but let’s just go crush ISIS while we can. Right now, Trump is taking the simpler solution, ridding the world of ISIS. And who can argue with that? We sided with Stalin to take down Hitler then we faced Stalin in the Cold War later. But are we ready for post-ISIS issues: fighting Russia on keeping Assad in power; fighting the Turks to make sure our faithful allies the Kurds get their homeland finally; help the region recover without committing more US resources. Does Trump have the trust capital to make the right choice with dilemmas that have very little good outcomes? But do we as a nation of supposedly informed people give him any push to some common sense or at least a grasp of what faces us? I hope so, but I don’t see it. I try my best to be balanced about left/right, liberal/conservative, and Democrat/Republican. There is some good and plenty of flaws in both. 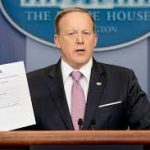 But it is very difficult to find much good – and much trust – with the public actions and antics of this White House and with most of the American people who are stuck watching with cable news blinders. Next post: So What Are You?